"star wars" - Blog @ That Awesome Shirt! 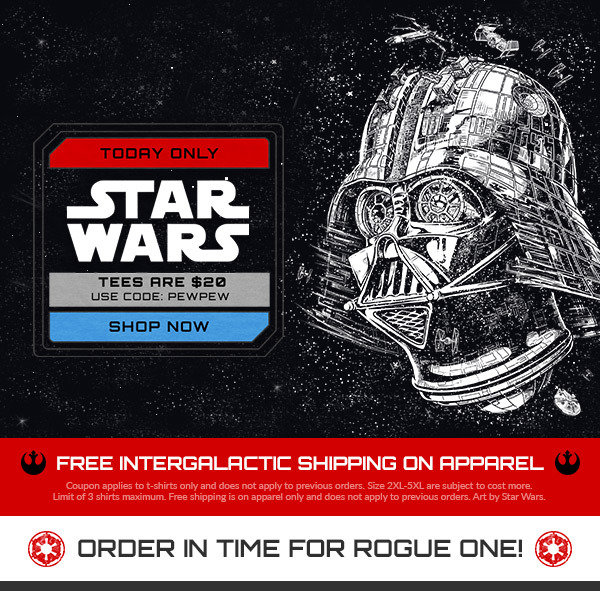 TeeTurtle: FORCE FRIDAY II! 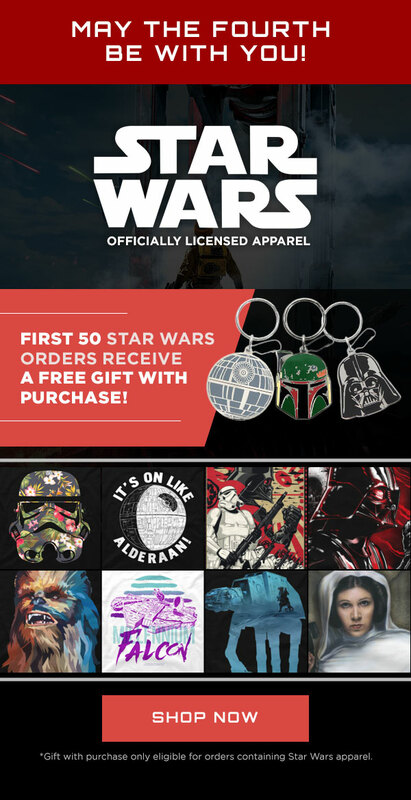 50% off ALL Star Wars tees! All Star Wars tees are 50% off until 4th of September, 2017. 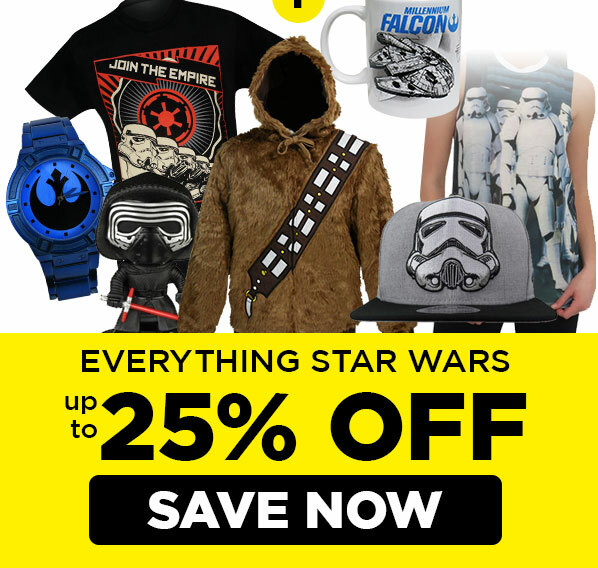 25% off everything Star Wars! On May 25, 1977 Star Wars was first released into theaters. This week join us as we celebrate 40 years of droids, Jedi, bounty hunters, small moons, power converters, people losing their hand, lightsabers, bull's-eyeing womp rats in my T-16 back home, and all the wonderful things that A New Hope (as it was later named) brought to our lives. 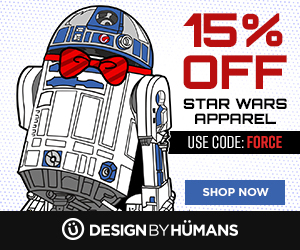 Star Wars Day (May the 4th) is around the corner and we're having a sale on all Star Wars apparel! Expires 5th of May, 2017. 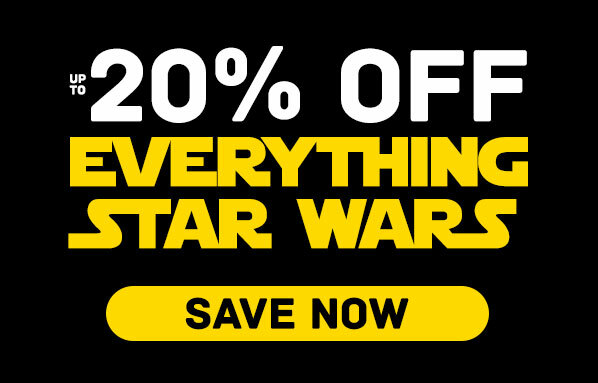 All Star Wars Tees are marked as $20. Also, get free shipping on all apparel! Ends 6th of December, 2016.